With 30 billion live orgnanisms Alive Ultra Probiotics is at the top of the probiotic range. It has powerful probiotics to give extra boost for your digestion system. Whether you’re suffering from the agonizing pain of GERD (gastroesophageal reflux disease), or you’re being troubled by a gassy, bloated stomach every single day, you might find the ultimate solution in Alive Ultra – the most effective natural probiotic for digestive system here at Whole Family Products! Alive Ultra answers to the problem of your gastrointestinal system. With 30 billion live organisms that target bad bacteria in your gut, it’s our recommended probiotics for gastritis, bloating, stomach gas, heartburn, and indigestion. Why Choose the Best Probiotic Supplement? 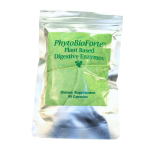 Not all digestive enzyme supplements are created the same. When looking for gastrointestinal support, examining the ingredients is necessary to ensure that you’re taking the right supplement that will provide the results you’re after. Sometimes, certain combinations of probiotics may not be effective in the problems of your gut flora. 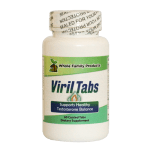 So if you find no relief in your regular natural probiotics supplements, you might need to make a switch to an advanced formulation of probiotics. Alive Ultra is the best probiotic supplement we suggest for people who are burdened with different problems in the stomach and haven’t found the perfect remedy. It’s at the top of the probiotic range for it contains an advanced combination of the various strains of Bifidobacterium and Lactobacillus, which are all touted for their restorative benefits related to gut function. Alive Ultra is often compared to Alive Probiotics – another probiotic supplement we offer here at Whole Family Products. But it’s important to note that they are not one and the same. Alive Probiotics is formulated with a unique strain of probiotics. It is commonly suggested for mild to moderate conditions of digestive discomforts. But if Alive Probiotics doesn’t work for you, then give your digestive system the extra probiotics boost it deserves. Buy a bottle of Alive Ultra only at Whole Family Products, your trusted natural health supplements store online. Other Ingredients: Low moisture rice dextrin, vegetable cellulose and medium chain triglycerides. **Potency at time of manufacture. This product may be kept refrigerated to maximize shelf-life and potency.